Checker was a subsidiary of the Chess label (Chicago, IL). The label was founded in 1952 by the Chess brothers who ran the label until they sold it to General Recorded Tape (GRT) in 1969. Many early Checker singles were originally released on other labels. This is noted on the applicable single pages with links to the original issues when available. Checker LP 10002 is by the Oak Ridge Quartet (a white group), LP 10005 is probably unreleased (Sammie Bryant?). Gene Viale (Checker LP 10054) was a latin soul singer, included in the discography for reasons of completeness. He was associated with James Cleveland and sang with the James Cleveland Singers. 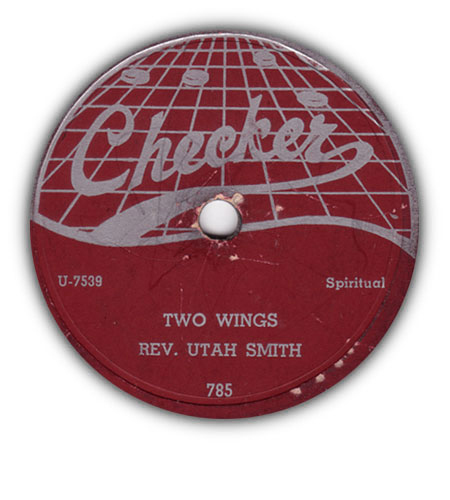 This page lists all Checker gospel singles and LP’s until 1970. Later singles and albums have been omitted. 11 Checker LP 10013 Moore, Rev. C.L. Rev. Moore More Fools Needed (sermon) 1965?